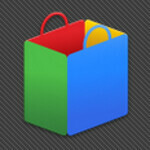 Google Shopper has been updated to version 3.0 in the Google Play Store and the update brings a whole new look. The new UI is image-centric. offering faster navigation and larger images. The new sales screen alerts you to deals in your area and the image based search results lets you shop more effectively for clothes and accessories. Google is adding a product ratings feature called GoodGuide which has as its lofty goal, allowing consumers to make informed buying decisions. If you're packin' Android 2.1 or higher (and who isn't), you can download the new Google Shopper for free from the Google Play Store. And push notifications will alert you when Google has added new features to the app. Considering that this is a major face lift for the app, let us know what you think by dropping us a line in the box below. no idea, went to download it and it's not available for my phone.